When renovating, it is so important to stay true to the heritage of your home, which can often feel restricting. Today we show you the perfect mix of classic + modern/happy +sophisticated/contemporary + timeless which takes this kitchen from being ordinary to truly special. This stunning kitchen not only boasts beautiful Smeg appliances, but features a unique grey blue finish which is nothing short of striking. 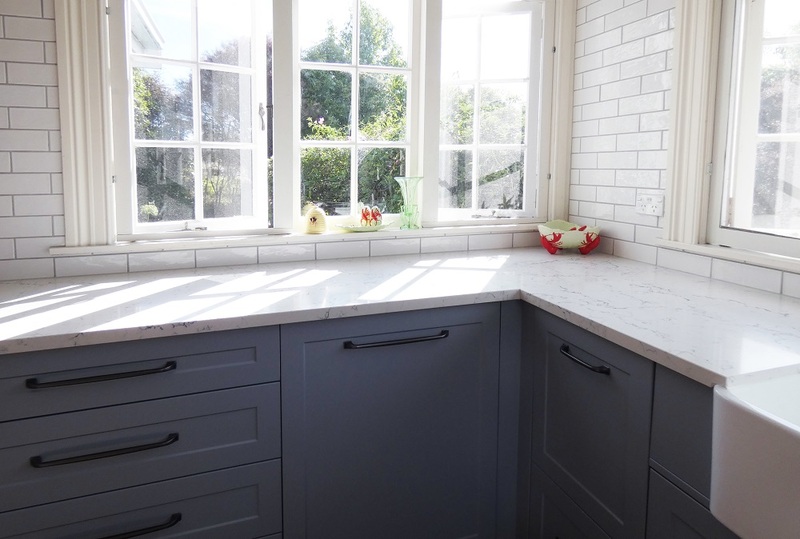 The colour is Clouded Blue by Resene, offset by the gorgeous Caesarstone benchtop in White Attica. 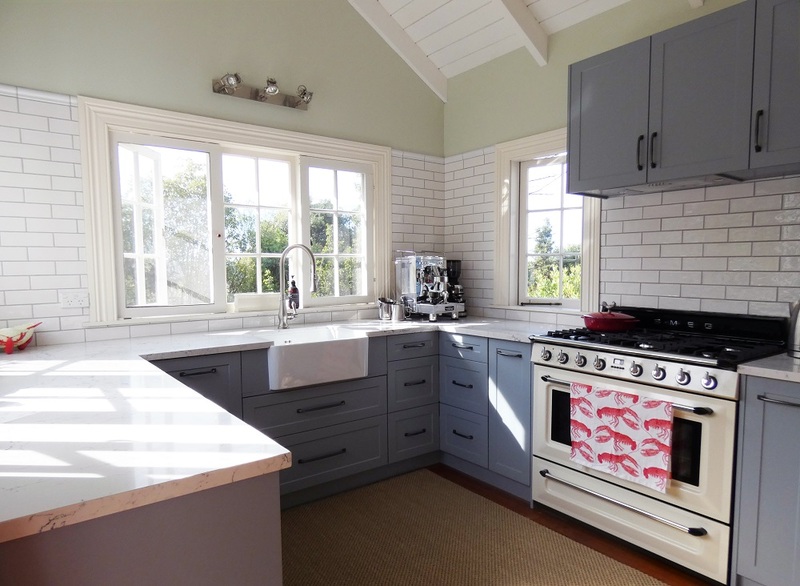 A large ceramic butlers sink and traditionally styled pulldown sink mixer, are the key finishers of this whole look. We also can’t not mention those large windows which offer plentiful sunlight- the perfect spot to have your morning coffee. 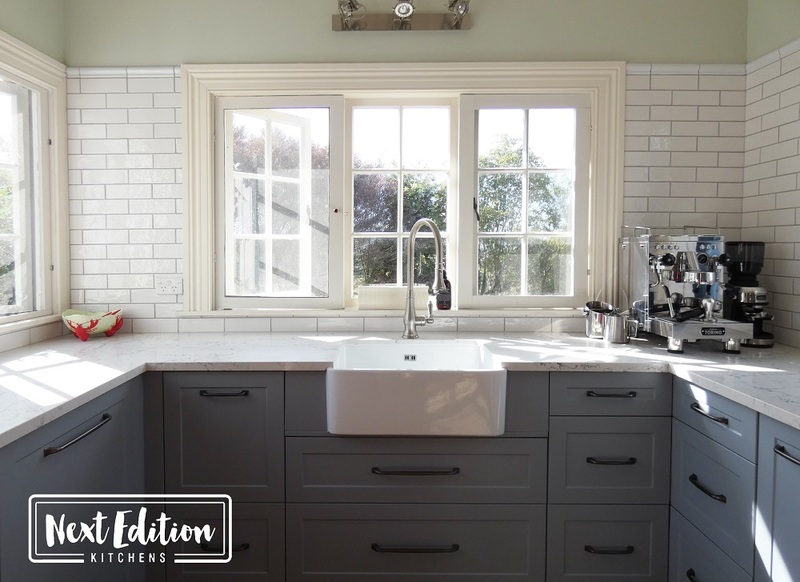 We will be back next week to share another recently completed masterpiece by Next Edition Kitchens! When it comes to getting a new kitchen, we often forget about the wider aspects to the design process. Children can play a major part in the design process – particularly the younger ones. They are very compelled by the kitchen and are heavily enticed from all the colourful things you put in and take out of cupboards, drawers & the fridge. Kids love to be wherever you are – INSTANTLY if they see you’re about to do something they want to help with and we all know they love baking/cooking (i’m pretty convinced it’s because they get to have multiple taste tests and get the rights to licking the bowl!) this is why it becomes important as they are spending a chunk of time in the kitchen also and it can be a jungle for them in there with so many things to grab and play with. 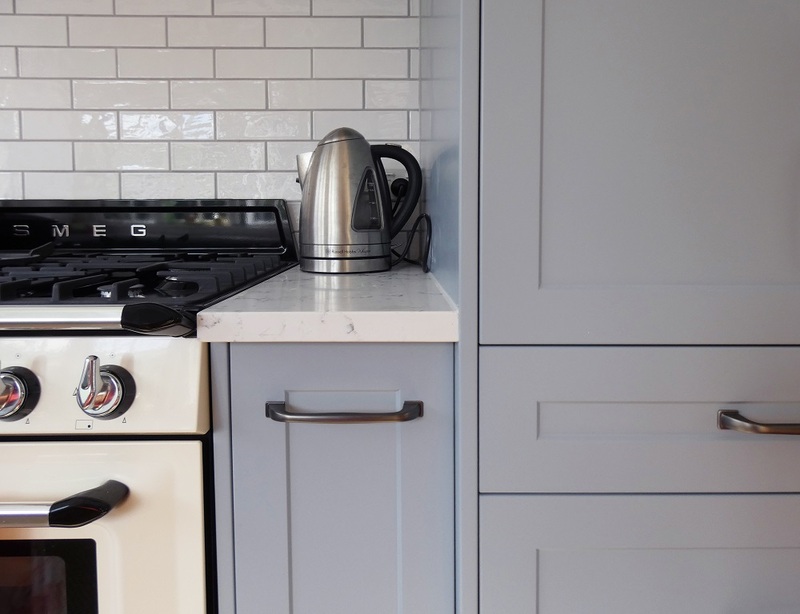 While you spend quite a bit of time in the kitchen, there’s no way of having it child-free, but the bonus here is that we can make it as safe as possible so they minimize any head bumps on sharp corners, jammed fingers in the cabinetry – YOU NAME IT! they will find a way to do it if they can. Talking to your designer and making sure this is an important design aspect to incorporate is very much achievable while still having the kitchens of your dreams, it may mean having the rounded edges on the bench tops opposed to the square edge or a rounded handle instead of a sharper edged one would be the way to go but the options are super flexible when going through a skilled designer (like our lovely designers here at Next Edition Kitchens!) you often won’t pick up on what else needs to be discussed but the knowledge the designers have is incredible and will have you walking away feeling like you’re in great hands as are your children. Keep in mind, there are many little gadgets you can purchase to assist the safety in the kitchen if you aren’t designing or renovating. Click here for ideas. © Copyright Next Edition Kitchens 2015.